Here's everything you need to get saucy this summer, whether you're grilling out or cooking in. 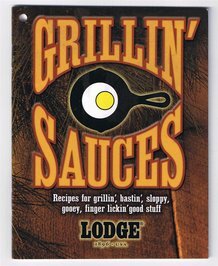 Try all 11 fabulous marinades and sauces in the 16-pg. recipe booklet. 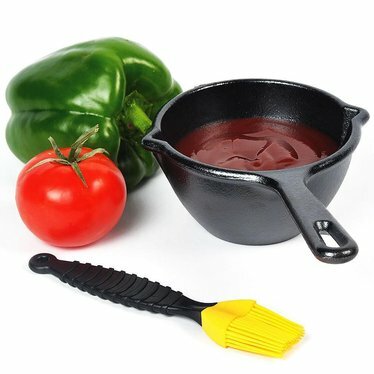 Set the Lodge® pre-seasoned cast iron sauce pot on your grill's side burner or stove top to warm sauces while you're cooking. Baste and drizzle your way to deliciousness using the silicone brush (heat-resistant to 400°F and dishwasher safe). Can you taste the ribs, brisket, salmon and veggies yet? I keep the pan directly ON the grill and the sauce is toasty warm and ready for basting babybacks, steaks, chicken, etc. Stop drizzling cold BBQ sauce from the bottle!